For an unforgettable encounter with Arizona nature, take a trip to the Painted Desert area. A broad region of rocky badlands encompassing more than 93,500 acres, this vast landscape features rocks in every hue – from deep lavenders and rich grays to reds, oranges and even pinks. Located in Northern Arizona, the Painted Desert stretches from Grand Canyon National Park eastward to Petrified Forest National Park, with a large portion lying within the Navajo Nation. 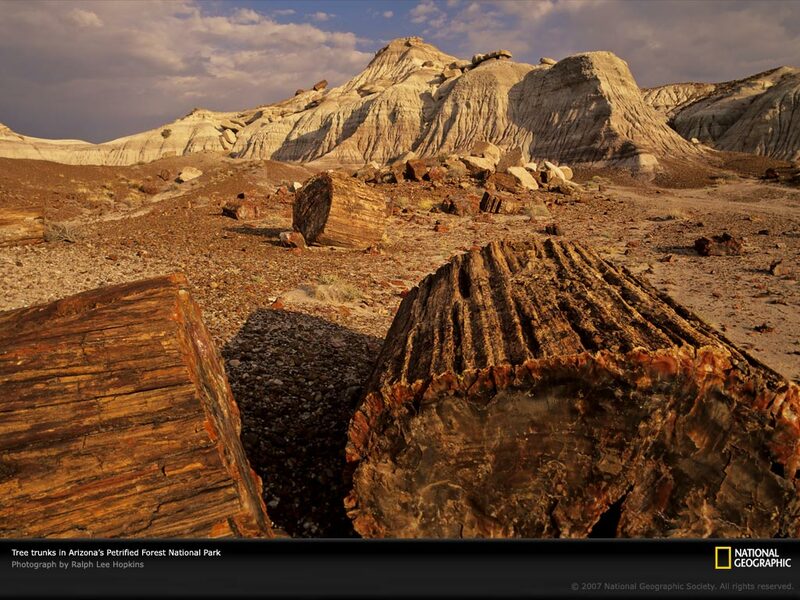 A natural canvas millions of years in the making, no one event shaped the Painted Desert. Instead, the area – which is home to many memorable formations and features – serves as proof of the earth’s volatility: volcanic eruptions, earthquakes, floods and sunlight all combined to create the Painted Desert. Deposits of clay and sandstone, stacked in elegant layers, play with the setting Arizona sun in an altering display of colorful radiance. Both the Navajo and Hopi people have lived in the region for hundreds of years, but it was Spanish Colonialists who gave this landscape the name we know it by today – El Desierto Pintado. Start out at the Painted Desert Visitor Center – located within Petrified Forest National Park, just off I-40 around 25 miles east of Holbrook – where you can get in touch with the natural landscape through hands-on exhibits and an orientation video. You can also pick up some park information and take a spin through the gift shop. Two miles from the north entrance of the park, the Painted Desert Inn National Historic Landmark once served as a trading post, inn and restaurant for travelers along historic Arizona Route 66. Today, the landmark lives on as a museum, and also offers regular demonstrations from local Native American artisans on crafts such as rug weaving and silversmithing. The area offers a number of hikes, and a 10-mile paved road gives non-hikers a good opportunity to see rock formations and mesas with beautiful color striations. For the quintessential Painted Desert experience, don’t miss sunset – it’s when the rocks morph and change into an awe-inspiring canvas of fiery color. Stretching across Northern Arizona, there are plenty of places to stay near the Painted Desert. For weekend getaways or overnight road trips, hotels in Flagstaff or Winslow provide a great jumping-off point. You can also find lodges and cabin rentals in Holbrook. Campgrounds are common in the area, particularly at local state parks and roadside RV parks and campgrounds. 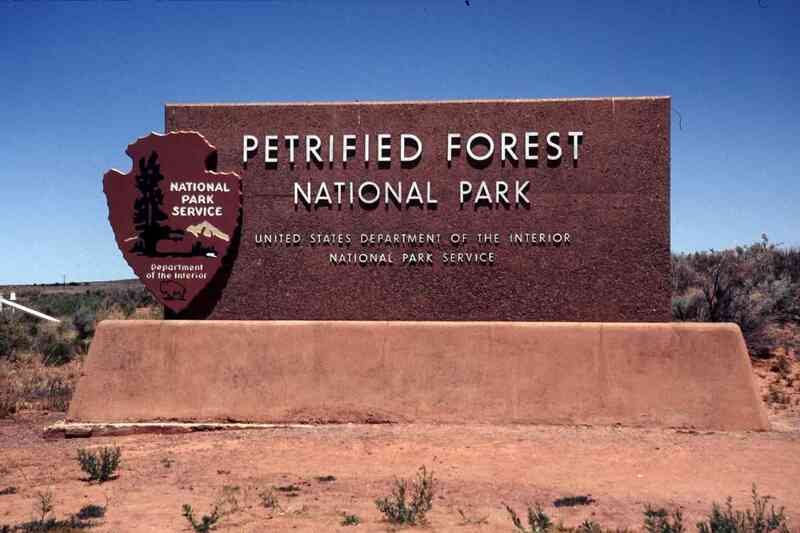 However, Petrified Forest National Park, where the Painted Desert Visitor Center is found, does not permit camping or overnight parking. For camping information, see our campground listings. With one of the world's largest and most colorful concentrations of petrified wood, multi-hued badlands of the Painted Desert, historic structures, archeological sites, native grassland, and displays of over 200-million-year-old fossils, this is a surprising land of scenic wonders and fascinating science.